Recently we covered some great applications which allows you to track and find your lost android phones. Most of these application are free to use and available for all the android devices, all you have to install a android application on your device and register a account with application to find your lost Android. But if the application is not installed on your device then its impossible for you to track your lost or stolen device. But if you are the Samsung Galaxy Mobile user then you don’t have to install all these anti theft applications on your device. 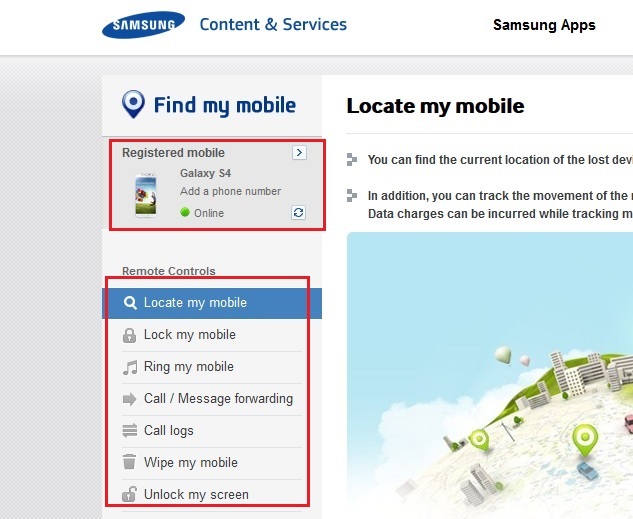 Your Galaxy device has the inbuilt feature which allows you to track your Galaxy Mobile from the Samsung web site. We all know that the Samsung Galaxy phone comes with some inbuilt application, to use these applications on your device you have to create a free Samsung Account. So if you have the registered Samsung Account then you can locate you lost phone with the help of your computer. Read the below guide how to track your lost Samsung Galaxy Android mobile from your PC. Go to you Samsung Galaxy Android phone settings page and add Samsung Account on your Account settings page. 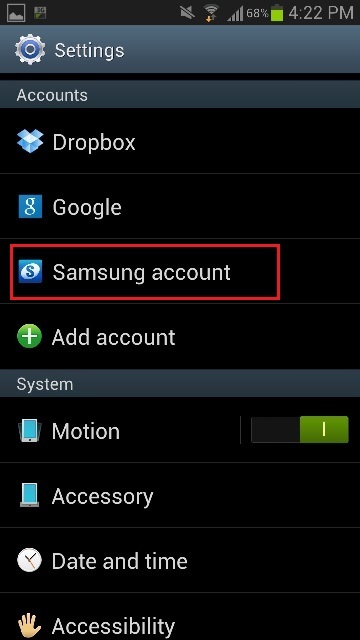 To do this go to Android Settings > Account > Add Account and Choose Samsung Account. At this time it will ask you to login with your username and password, if you don’t have the account with them than you can create a free account with them. Once the Samsung Account is setup on your device you are ready to track your device for then Samsung website. Visit Samsung Website here and login the site with your Samsung account username and password that you created on your Galaxy Mobile phone. 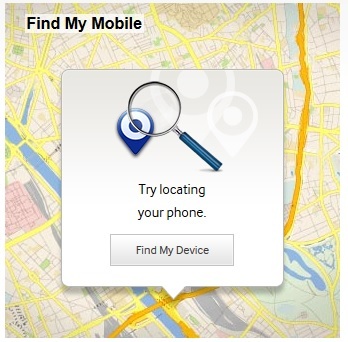 Now on the web page you can see the “Find My Mobile” option on the top navigation menu. Click the Find My Mobile tab to proceed. With the Remote control feature of the Find My Mobile web application you can locate your device on the Map, Send a sound alert on the device with a message, Lock your Galaxy Device with the pass code, wipe all your saved data remotely and retrieve all your latest call logs on your PC. A nice way to find your lost Galaxy android device easily with this Samsung application and no need to install any third party application on your PC or your android device.